Table accessories from Robbe & Berking made from crystal and silver combine the wonderful brilliance of these two fine materials. 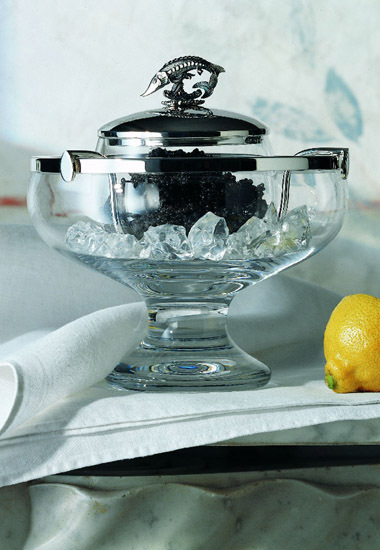 With the crystal caviar bowl, for example, your caviar can always be served with style and enjoyed cold. Other bowls can be used as more than just sweet bowls; they provide a space for pralines and baked goods - or offer a place to store jewelry.